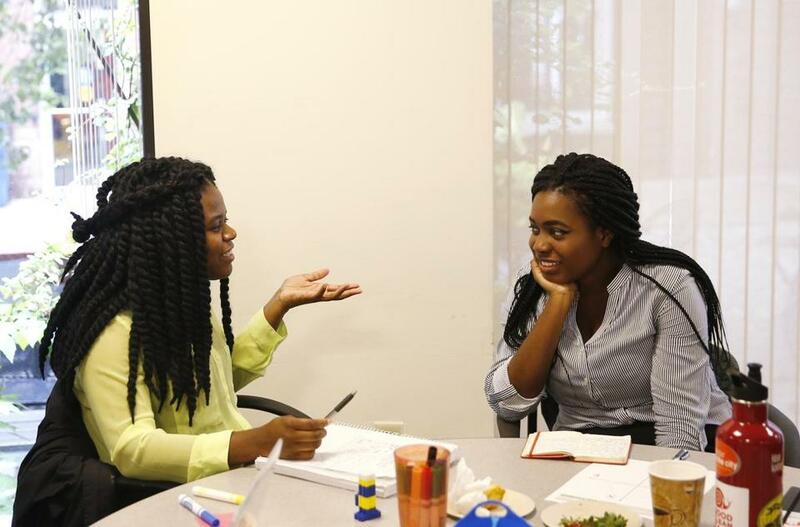 Student Danique Montique (left) spoke to chief program officer Ariel Brooks at the College for Social Innovation. ServiceCorps lets corporate-bound college graduates delay their for-profit careers to work full-time in the social sector. With that in mind, 60 percent of College for Social Innovation’s participants are low-income, minorities, or first-generation college students. The program does not pay its interns, Schwarz said, because doing so would make the program much more difficult to grow and expand. 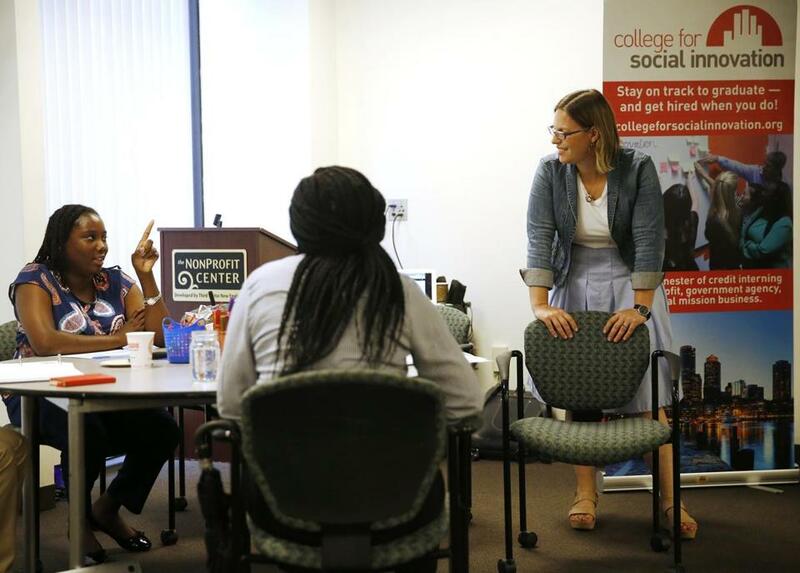 “An internship with a great mentor can be the difference-maker in someone’s career, but low-income kids don’t tend to have access to those life-changing internship opportunities, so we’re trying to give them that,” said Schwarz, who created College for Social Innovation with Lisa Jackson, who’s spent nearly two decades working in Boston’s nonprofit and philanthropic sectors.